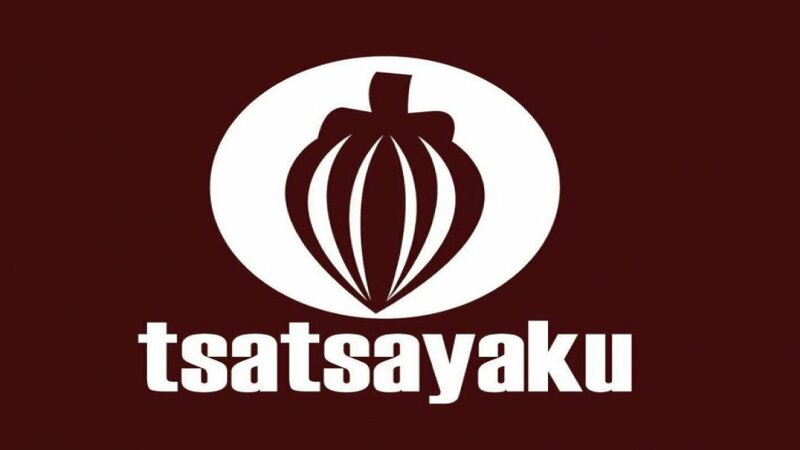 Tsatsayacu is an Association of kichwas and mestizas families dedicated to the cultivation of cacao, coffee and wayusa. 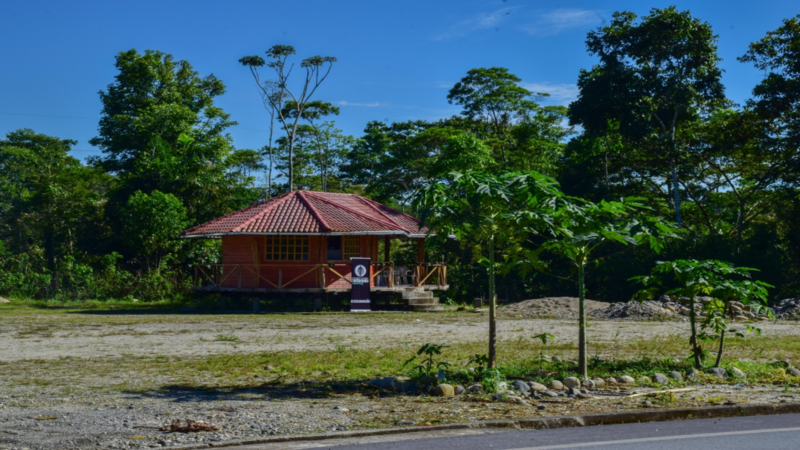 Located in the canton Carlos Julio Arosemena Tola province of Napo, registered with the Superintendence of Popular and Solidarity Economy since June 21, 2013. By the year 2021 we will consolidate ourselves as a successful organization that contributes to improving the quality of life of our associates, through the production and marketing of organic cocoa, its derivatives and other local products, recognized nationally and internationally for their quality. 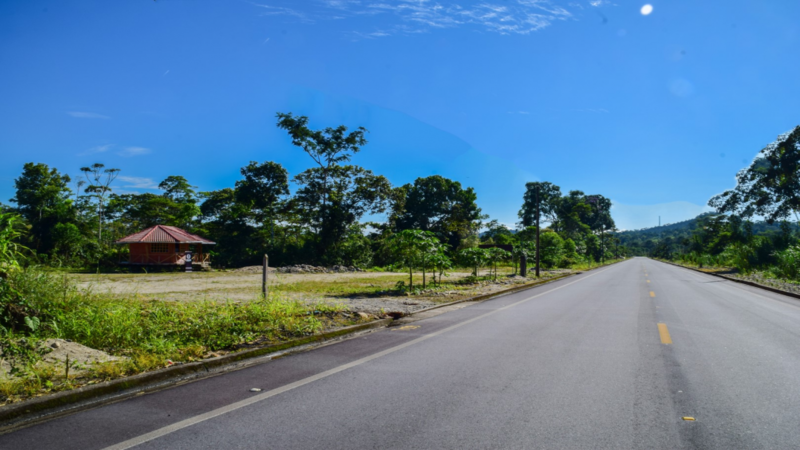 Achieve the well-being of our partners, through the sustainable production and marketing of local quality products, contributing to the development of the territory. Increase the production volumes of the area's own crops and develop agrotourism services. Develop innovative, quality and value-added products. Generate a sales volume that contributes to the sustainability of the association and to the economic stability of the associates. 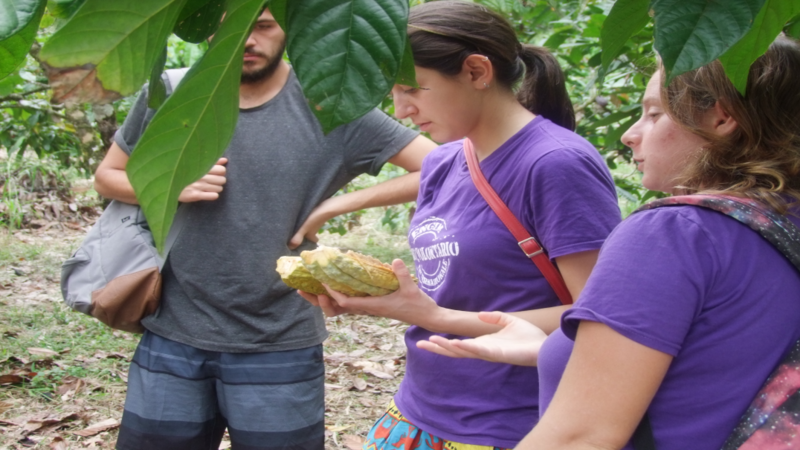 We will tour the fields where the cacao is grown, we will know how to plant, care for and harvest this delicious product. 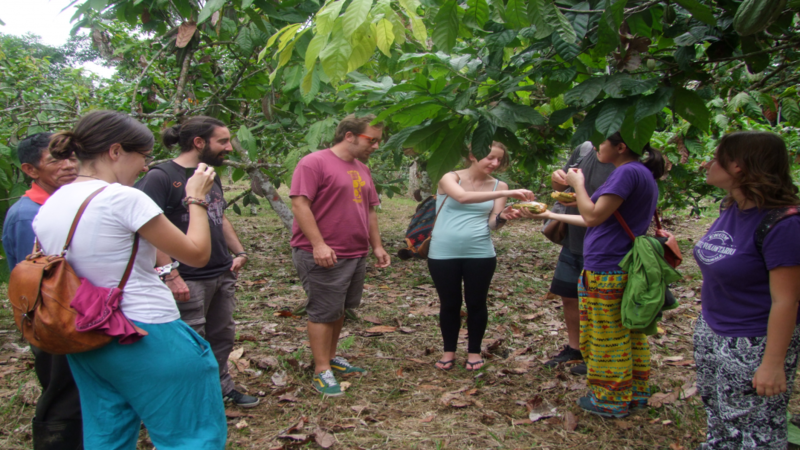 Collection and tasting of Amazonian fruits and flowers. Learn the traditions and popular knowledge of women and men in the countryside. We will also visit coffee and wuayusa plantations. 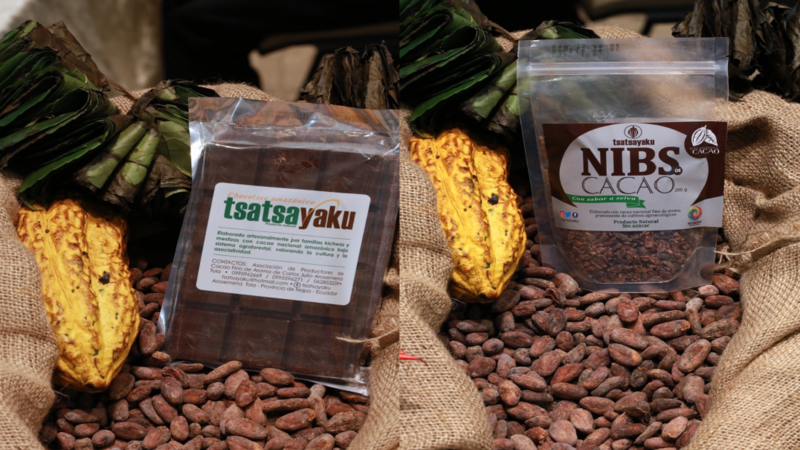 Process and tasting of the Amazonian chocolate TSATSAYAKU. Our technicians constantly advise and supervise the partners and producers, in order to comply with the quality standards demanded by the market. We have a collection center, where the beneficiation process is carried out, which consists of fermenting, drying, selecting, packing and storing and then being transferred to the sale. Industrial drying without affecting the organoleptic properties, modifying the humidity and the temperature. Maquila of cacao paste chocolate 100% cocoa. We make the maquilado, roasted, peeled, crushed, refined, tempered and molded of chocolates. Chocolate in Bar from 0.25 cents up to 150 dollars.